A review of the Genworth Health Insurance Company finds Genworth Financial, a family of insurance companies. 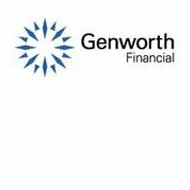 Genworth is a publicly traded financial security company that does business in more than 25 countries, including the U.S. The corporation has more than $100 billion in assets, and is in the Fortune 500. Still looking for health insurance? Just type your zip code in the box above and take your pick from an assortment of health insurance rates. Although Genworth Financial offers a robust portfolio of different financial and insurance products, standard health insurance policies for individuals and families is not one of their services. However, they do offer a few non-standard products such as long-term care insurance and Medicare supplement insurance. Long-term care insurance is specialized insurance meant to protect your assets if you should ever require long-term care in a nursing home, assisted living facility, or at home. Too often, the continuing costs associated with a long-term stay or with ongoing medical care can drain a person’s savings. Long-term care insurance helps prevent such a situation from bankrupting you and your future. According to Genworth, long-term care refers to “any kind of support for daily living on a long-term basis.” This may be caused by the typical process of aging, or because of a medical condition such as Alzheimer’s disease, a stroke, or Multiple Sclerosis. Regardless of the reason, Genworth expects that nearly two-thirds of people over the age of 65 will need some type of long-term care, while 40% are between the ages of 18 and 64. You never know if you or your loved ones will need it, so any comprehensive health and life insurance plan should include long-term care coverage. The cost of long-term care insurance varies depending on your current age, how much care you need, and for how long you need the care. Genworth’s Medicare supplement insurance serves to help fill in the gaps in health insurance coverage left by Medicare. In fact, Medicare supplement insurance is often called Medigap insurance. Senior citizens with Medicare supplement insurance gain more flexibility than Medicare typically allows, permitting them to choose whichever doctors, specialists, and hospitals they prefer, without pre-certification. The supplemental insurance also helps cover the cost of deductibles, coinsurance, and copayments. Genworth Financial has a comprehensive website, featuring detailed descriptions of the process involved in filing a claim. Policyholders must call one of Genworth’s Claims Service numbers, depending on the type of policy claim they are filing. The website features questions and steps to get you to the right form for your claim. Claims should be initiated as soon as long-term care services are received. A benefit analyst assigned to your case will handle all claims. Policyholders always have the right to appeal any claims that are denied payment. Genworth Financial currently has more than 6,000 employees throughout 25 countries. With fifteen million customers, the company is always looking for more people to join the team. If you are interested in applying for a position with Genworth, they recommend you first create an online profile. Apply for a position, and if the company selects your profile and resume, a Genworth recruiter will contact you. Leading insurance rating company A.M. Best & Company has given Genworth Financial an “A” (Excellent) financial rating, as well as an “a” issuer credit rating. However, Genworth has also received a “Negative” outlook from A.M. Best. If you are searching for a standard health insurance policy, simply enter your zip code in the box. Then you will see several health insurance quotes from different companies in your area. Genworth Financial’s build chart is lenient, a 6’ tall man, under 65, and up to 221 pounds can be approved at their highest rating; a rating you won’t get from competing companies. For something seemingly inconsequential, it makes a large difference to customers. People need more from their insurance companies than a hand in their pocket, they need security and acceptance. Genworth Financial seems to provide that security and acceptance, making them one of the best companies to look at when choosing life insurance. These people do NOT help! My 90 y.o. mom’s paid for many, many years to Genworth Long term and now is in need of the long-term insurance and they won’t even provide us with a list of nursing facilities in their “network”. After she’s admitted THEN they’ll tell us if she’ll be covered. What do we do, move her from place to place until we hit the right one? Asking for help is useless and frustrating. They are GenWORTHLESS….non-payers and absolutely customer unfriendly. DON’T BUY INTO THEIR HYPE!! !